Rick Snider is a longtime Washington sports journalist and licensed tour guide. Named Washington’s best sportswriter in 2010 by the National Sportscasters and Sportswriters Association, Rick is a natural story teller who enjoys telling tales of his hometown. He was also an award-winning photographer back when black-and-white film was the preferred medium. Rick’s blog on the city’s monuments is MonumentalThoughts.com, voted a top 5 read by Huffington Post. With family roots in Washington spanning two centuries and a grand uncle who was a tour guide in the 1940s, Rick cites Arlington National Cemetery, Mount Vernon and the World War II Memorial as favorite sites. Lisa Snider has been a passionate photographer since 1985, shooting film for nearly 20 years before graduating to digital photography in the mid-2000s. Always looking for ways to express her creativity, she studied digital image shooting techniques and learned to process and print images using Photoshop Elements and Lightroom. Lisa loves telling stories with her pictures by documenting events. Over the last 10 years, Lisa has photographed many weddings, engagements, anniversaries and parties. These days, she is also passionate about landscape and nature photography and loves to take day trips around the region searching for new photo opportunities. 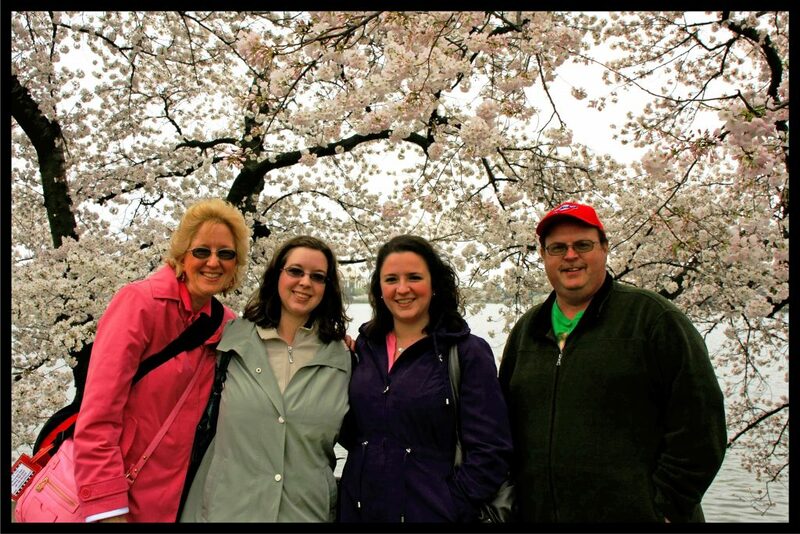 A Washingtonian, Lisa enjoys photographing the region’s changing seasons, and especially loves the spring, when the Tidal Basin is awash in the pink buds of the Cherry Blossoms. Her “Cherry Blossom Path” photo was exhibited along the Crystal City walkway as one of the judge’s favorites in the 2012 FotoDC Cherry Blossom photography contest. Lisa’s equipment: Canon 40D digital SLR camera, 28–135mm lens, 17mm-50mm lens, and an 18–270mm “All in One” Lens, which is great when you are on the go. Megan Johnson loves to document the simple moments — and can’t go anywhere without her Canon (or iPhone, if all else fails). Serious about food photography and landscapes, she also enjoys portraiture and showcases her photography in a biweekly newspaper column for Southern Maryland Newspapers. Her photos have been featured on book covers and “Good Morning America.” Megan highlights her work every Wednesday on website, write meg!, as well as on Flickr. A native Washingtonian, she loves to travel — and chow down. Most of her meals are photographed before they’re consumed, but her husband and family have learned to live with it. She is also active in the Calvert Photography Club. Megan’s equipment: Canon Rebel T1i, 18-270mm lens, macro prime lens and more. She edits in Photoshop Elements, Photoshop CS2 and Lightroom — and loves processing images almost as much as taking them. Katie Long is a videographer and videojournalist who lives and works in the Washington, D.C. area. Earning her degree in broadcast journalism from the University of Maryland, College Park, Katie also produces promotional and informational videos for government agencies and independent businesses. Past clients include Montgomery County Recreation, Maryland Senior Olympics, Baltimore City Recreation and Parks, Charles County Board of Education and seniors looking to share their family legacy. Katie also produced more than 300 stories for Push Pause, including the 2012 U.S. Olympic Dive Team. Katie’s equipment – JVC Pro cameras, Final Cut Pro, Adobe Premiere Pro.